I think I am in love. With a library. That is acceptable, isn't it? I was in Boston yesterday and I popped into the library and now I want to move there. To clarify, I want to move to the library. 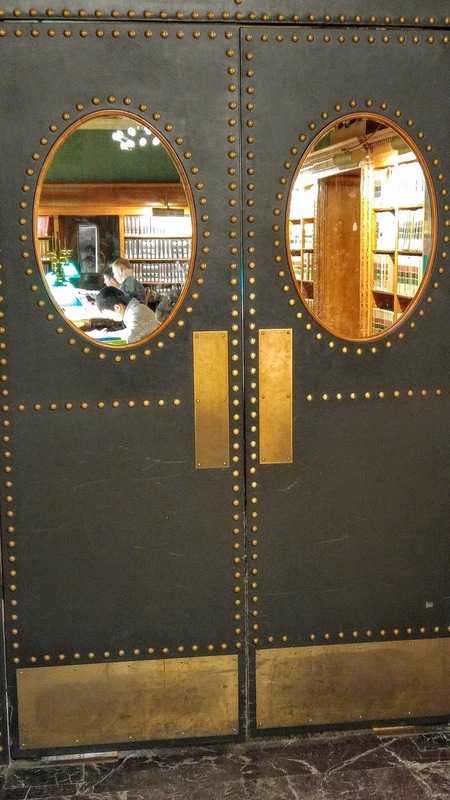 Do you think anyone would care if I just took up residence in the reading room? It is big enough that if I just moved from room to room I could probably evade discovery for days on end. Oh, that reminds me of From the Mixed-Up Files of Mrs Basil E. Frankweiler. There is another book I need to get for my daughter. Anyway, the library is gorgeous. I only had about 20 minutes to run through it (I will be back) and it was too dark to take any pictures of the courtyard (it has a courtyard! I love courtyards!) but I still fell in love. Look at those ceilings and the chandelier! And the lions. I love the lions. I did feel like I should be wearing an elegant gown while walking down those stairs. I can't say my local library makes me feel that way. I kept thinking about the quote that says "I have always imagined that paradise is a kind of library." 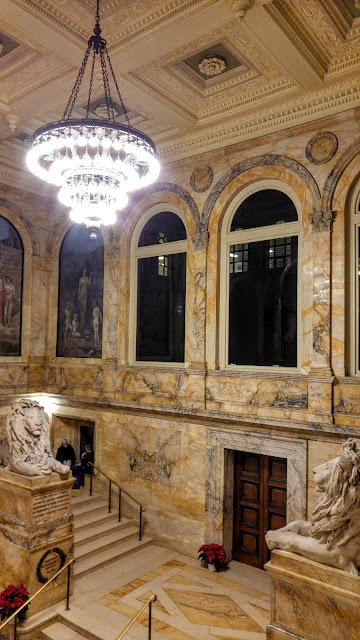 The Boston Public Library is magical and wonderful and paradisiacal. I will have to go back with my good camera and some time to spend wandering. I am sure there will be another post about it when I do. There is a Shakespeare exhibit going on that I would like to visit so hopefully that will be soon. There is also a book store in Boston that I have been wanting to visit. I do love Boston. What libraries have impressed you? I've been to Vienna but it was ages ago and I never made it to the library. I'll add it to my endless list of places I would like to travel to! Amazing. These regal libraries are so impressive! 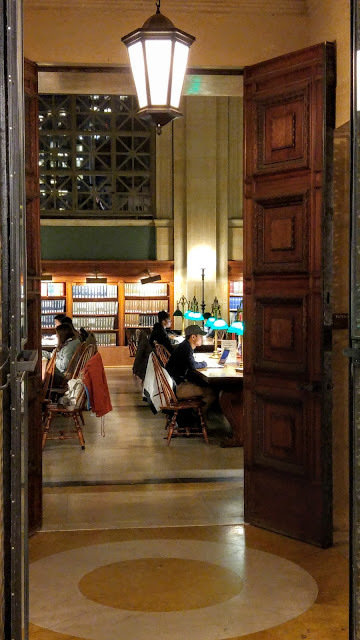 I once visited the Fifth Avenue library in NYC. Similar vibe. They are regal, aren't they. I still need to make it to the NYC library. Several people have suggested it lately. How far from Boston are you? I enjoyed your post about your life in libraries. What a fun idea! The one in Northampton is beautiful. I'm 90 minutes away, so it's possible to go in when I have a day off work. I also want to go to the William Merritt Chase exhibition at the MFA, have you been to that? No, I haven't been. I went to the MFA with a friend a year or so ago. There is just so much to do in Boston. A quick trip? Really. 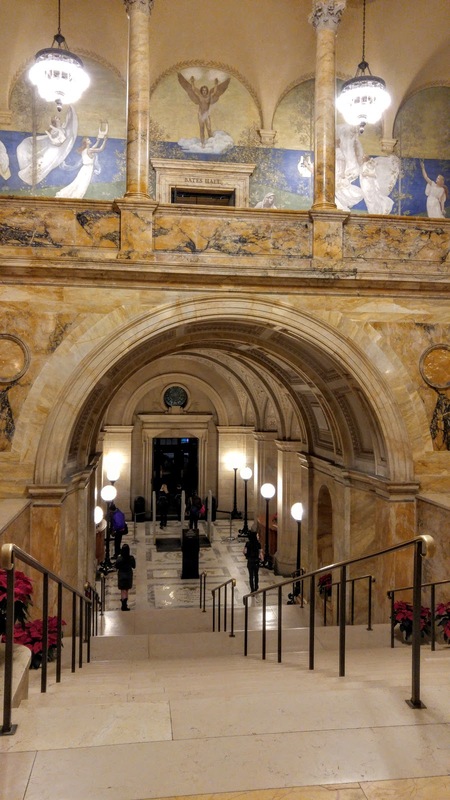 When I was visiting Boston in 2007, I think I made 4 visits, one for a tour, and several to visit the miniature books exhibition on the top floor. Yes, it was love, all right. Unfortunately, I only had time for a very quick visit. I was working in the city for the day and ran in on my break. I definitely want to return when I have more time to appreciate the whole experience. It sounds like you had a wonderful time on your visit. 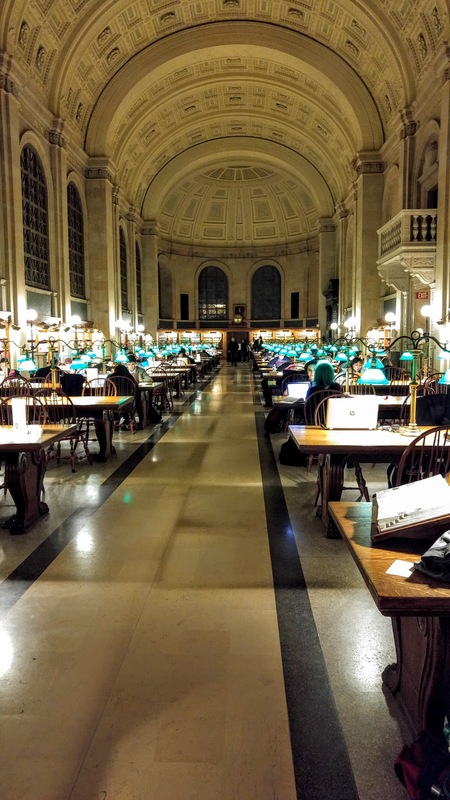 Merciful Zeus, now that is a library. Wow. 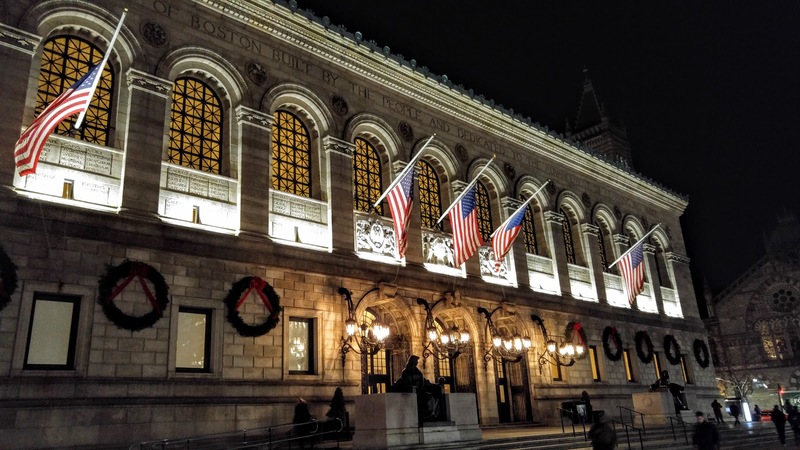 I've been to Boston quite a few times, though really it was more Cambridge than Boston most of the time because my brother was at school there -- I wish I'd known about this library, because I would have made him take me there. Divine.